Lions Club International has 46,000 clubs and 1.35 million members, making it the world's largest service club organization. Our goal is simple, to serve. Our members do whatever is needed to help their local communities. From children who need eyeglasses, to seniors who don’t have enough to eat, and to people who volunteer alongside us, we make friends wherever we work! The Davis Aggie Lions Club is a campus Lions Club at UC Davis that was officially chartered into Lions Club International on February 25th, 2013. We belong to District 4-C5 and is sponsored by the Sacramento Senator Lions Club. 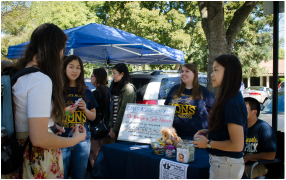 The club works to serve the Davis and Sacramento areas and is constantly working with various student organizations for the betterment of the community and the university. In addition, the club works with other Lions Clubs to make an impact on a global scale. 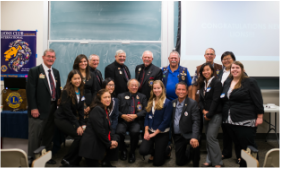 As a student run organization, the Davis Aggie Lions Club also works to help its members grow personally and professionally by introducing skills that are applicable to their futures. We work on a variety of projects throughout the year such as the Rotating Weather Shelter, Davis Community Meals, Graffiti Abatement, and more. We are very open to new ideas and membership feedback is extremely important to us. If you are interested in joining us, please visit our Membership page. The Davis Aggie Lions Club is always looking for more opportunities to serve, so if you have an organization or event you would like to work with us on please contact us! We look forward to serving with you all in the future!